This is my blog and a little snapshot of my life. 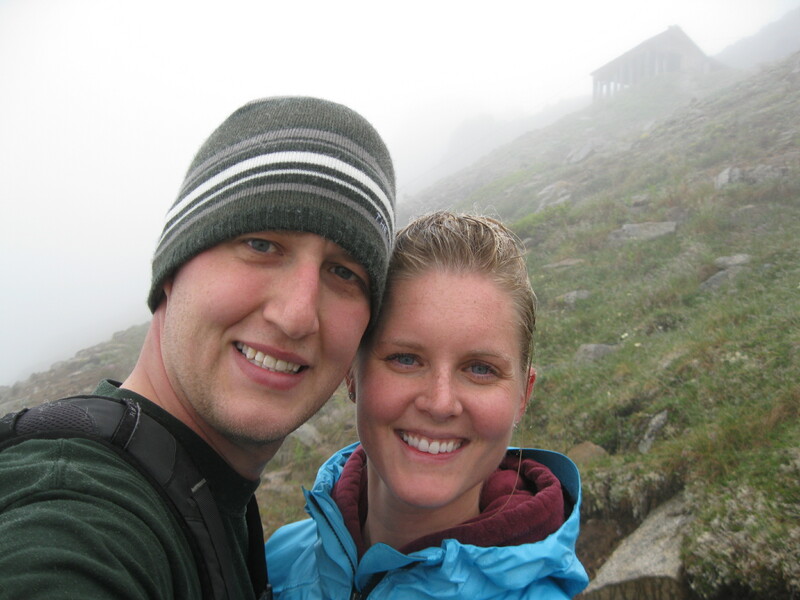 I’m Michelle, and I have lived in Anchorage, Alaska since August 2007. I was born and raised on a family farm (my parents have pigs, corn, and soybeans) in southern Minnesota where all my family and friends still reside. I miss it, and I’ve grown to appreciate it more now that I’ve moved away. 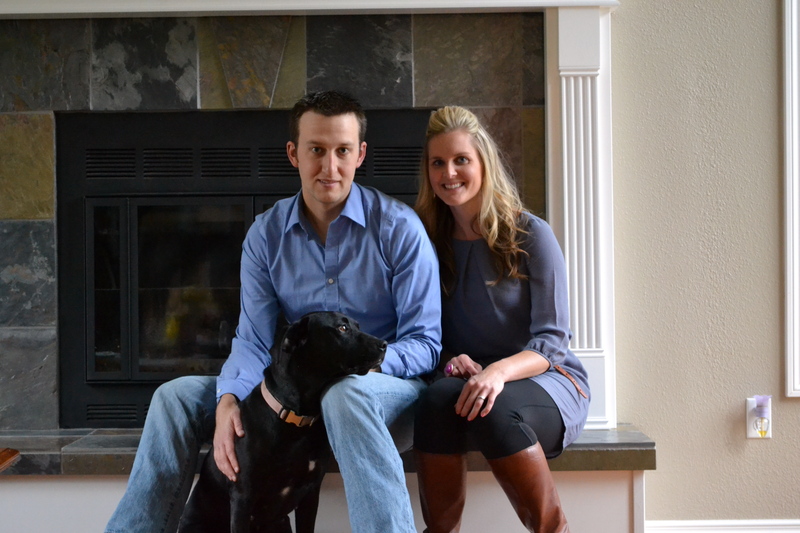 Moving to Alaska was something I never even fathomed, but I find myself here with my best friend and husband, Craig; our adopted pooch, Sadie, who is a black lab and pit bull mix; and a home we purchased summer 2013. As far as my occupation, I taught physical education for 4 years but resigned spring 2012. Currently I am employed at a bank in Anchorage and work as a loan processor—something entirely different than teaching! My other occupations have included: cross country, basketball, and track & field coach; group fitness instructor; and I also worked for a non-profit agency for a while. Ultimately I have always wanted to be a stay-at-home mom, but that chapter hasn’t been started yet, so I will just have to wait on that. I would also love to do some online running coaching some day. 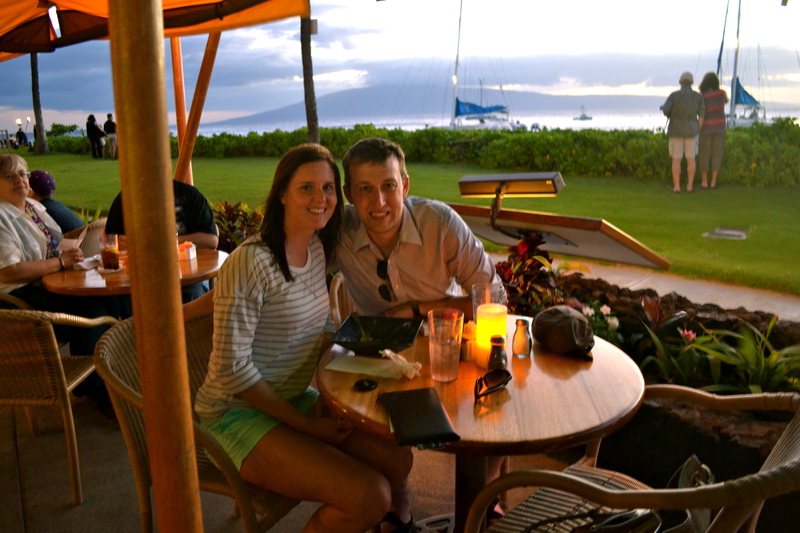 My husband, Craig, makes frequent appearances on the blog as well. We were married on June 7, 2008 in Minnesota and rode on a hay wagon pulled by a John Deere tractor that took us down main street after the ceremony. Fun fact: the date of our wedding is 06-07-08 (which was not planned), and we started dating in 2006, got engaged in 2007, and married in 2008. He is my best friend and makes me laugh all the time. We have a lot of fun together hiking, biking, going to yoga, traveling, and going on walks. I love running! I am seriously addicted to running and can’t get enough of it. I usually run six to seven days a week and race as often as I can–running anything from 5Ks to the marathon. I have run 6 marathons including the Boston Marathon in 2013. I have come a long way in just a few years, working my way up to 100 miles in a week, which helped me win the Kenai River Marathon for the women September 2013. Running is my main form of exercise, although I also enjoy biking, swimming, yoga, hiking, and lifting weights. I am pretty much a health nut and am constantly working to refine my diet. I am not a vegetarian, despite what many people think. My diet consists of whole grain, vegetables, fruit, lean meats/proteins, and healthy fats. I enjoy a balanced diet and eat healthy 95% of the time. I just stumbled upon your blog- I really like it. I’m a runner, and have absolutely no clue HOW or what to cook that’s healthy. I would save a lot of $$$ not hitting my deli if I just learned how to cook. Thanks for the ideas on your site. Very cool! Yeah, I’m so glad you like it!! Came across your blog through A Foodie Stays Fit blog roll and am so excited to read more. I grew up in Eagle River, Alaska but now am living in northern Maine. I miss home so much! I absolutely love your Visit Alaska page. What do you miss about it? My husband talks about moving to Maine because he thinks it would be like Alaska, do you think it is? The mountains! Maine is very similar to Alaska, but you don’t have the beautiful mountains. Also, I now live in the very northern part of Maine and I miss being closer to a city. I have to drive 6+hours to get to Portland!! Growing up in Eagle River I was only 10 miles outside of Anchorage. Hey! I just discovered your blog from a comment on Healthy Tipping Point…I live in Anchorage too! So funny, such a small world. I go to Anchorage Yoga all the time, AND I used to work at Ginger, so maybe I’ve even seen you! haha. Hope you are surviving the cold..at least the light is coming back! I CANNOT wait for spring/summer! You are so brave for running outside in the dark! Sweet! I *cannot* wait until spring/summer as well!! Ha! Ha! No, my husband came up with the name after reading an issue of Runner’s World. Hi Michelle, I just wanted you to know that I passed the Stylish Blogger Award to you! Hope you enjoy it, I think it’s a fun little post to write up. Can’t wait to read yours! 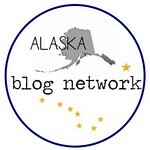 So great to find an Alaskan blogger! I was born and raised in Anchorage but go to school in Portland, Oregon. I used to work at L’Aroma Bakery off Old Seward! (It was called the milano salad). What school do you teach at? My mom was a teacher and track coach with ASD for 30 years. Cindy Petrovich? Love your blog and hope to start my own very soon! I’ve been to L’Aroma a few times! I don’t recognize your mom’s name; I’ve only been in the district for a couple of years. I’m so jealous you live in Portland! I want to move there so badly!! You’re blog is quite inspirational! Your FIRST marathon @ 3:26…that’s seriously amazing! Excited to follow you through your journeys! I’m also from the midwest (Illinois)- glad that I found your blog and look forward to reading more! Hi, I recently starting reading your blog and am loving it! I also recently found out that I’m moving to Anchorage in October and am wondering if you have any tips? Now I see why your pics are so pretty – I LOVE Alaska! Would LOVE if the Army sent us there. Seriously one of the prettiest places I have every visited. Yes, it is pretty, but there are definitely some cons to living here!! Hey, Michelle – I’m not sure if commenting makes me more or less of a creeper! 🙂 I stumbled on your blog linked from another running blog, I think, and love your photography (especially the Alaska and food pics!). Anyway, you do a great job, and I just wanted to give kudos. Great blog!!! I’ve just started running again and am training for the Des Moines half in October. Your blog is very inspirational, giving me ideas for workout clothes, recipes, and adding Alaska to my list of places I want to visit. I’m from Iowa and my dad’s side of the family is from southern MN. Thanks! Where in Southern Minnesota? Just stumbled upon your blog today after seeing you tagged on skinnyrunner.com and thought I’d check it out! I was excited to see you’re originally from Southern Minnesota, because so am I! (Rochester area) Also I think Alaska is absolutely beautiful. Good luck at the Boston Marathon! Nice! I love “meeting” fellow Minnesotans. I grew up in Waseca, so not far away at all! Hi! I came across your blog, and I must say I love it! One of my goals has always been to make it to Alaska. I live in Ohio now, and I hate it when the temp goes over 60. I run so much better in the cooler air. 60-70 miles a week in 80+ weather stinks! I am looking forward to trying some of your recipes! Thanks! I know what hubby is eatin every night! I am a part time runner, but hope to run a half one day. Just came across your blog and love it. I might be moving to Anchorage in the next few months from Texas (yikes!) so your visit Alaska section has been fun!